Many fundraisers approach the task in something of a scattergun fashion. This is entirely understandable; most fundraisers do it in their spare time and don’t want to spend hours poring over charts. But monitoring the success of your campaigns is vital if you are to improve your efforts. This might not be fun – but observing and benchmarking some important figures can help you make sure that your next campaign is even better than your last. So how do you judge the success of a fundraising campaign? Cash is, of course, the primary factor that most fundraisers will use to judge the success of a campaign. The amount of money raised is the main concern in most cases, and this is likely to be your focus. It is worth remembering, though, that a single ‘snapshot’ figure at the end of a campaign is not really of any use in and of itself. In order to really judge success you need something to benchmark these figures against. So, if your first campaign raised £500 and your next campaign raised £1000, you can tell that the second was a comparative success. This then allows you to consider what you did differently – and in this way you can continue your improvement. In addition to cash, awareness is one of the most important things you can raise. Fundraising is often an ongoing process, rather than one with a set end date. Each time you are out on the street with a collecting bucket, you are not only raising cash today – you are increasing awareness of your cause amongst the public. 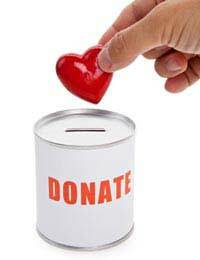 So, although a passer-by might not donate at the time, the name of the charity will be in their mind and they may be prompted to do so at a later date. Of course, awareness is a very difficult thing to quantify. Unless you operate online, where it is relatively easy to keep track of what is being said about a certain topic, it can be difficult to determine how much people know about you. With a limited budget, the best you can do is to make yourself as visible as possible. Make sure that the name and logo of the charity are prominently displayed on all marketing and fundraising material, as well as on collection buckets and so on. Consider having t-shirts printed, or leafleting people in the local community. Simply having people know about the cause is not enough. Instead, you want them to interact – either to donate cash, or to offer their time or expertise to the cause. Interaction is relatively easy to judge. You know how many times someone calls to offer to volunteer, for example. But again, you must remember that these metrics need to be monitored over an extended period of time in order to be useful. By observing changes in levels of interaction following individual campaigns, you can improve the quality of further efforts. Monitoring your success is a key part of running a successful ongoing fundraising effort. There is further information on performance monitoring elsewhere in this section.